Odey's fund is the big winner after Intu shares dropped about 40% on Thursday. Odey Asset Management has been continuously holding a short >0.5% ("big short") for more than 6 years. Intu Properties shares slumped and are trading about 115p on Friday after a take over bid was pulled (ref. Daily Mail). 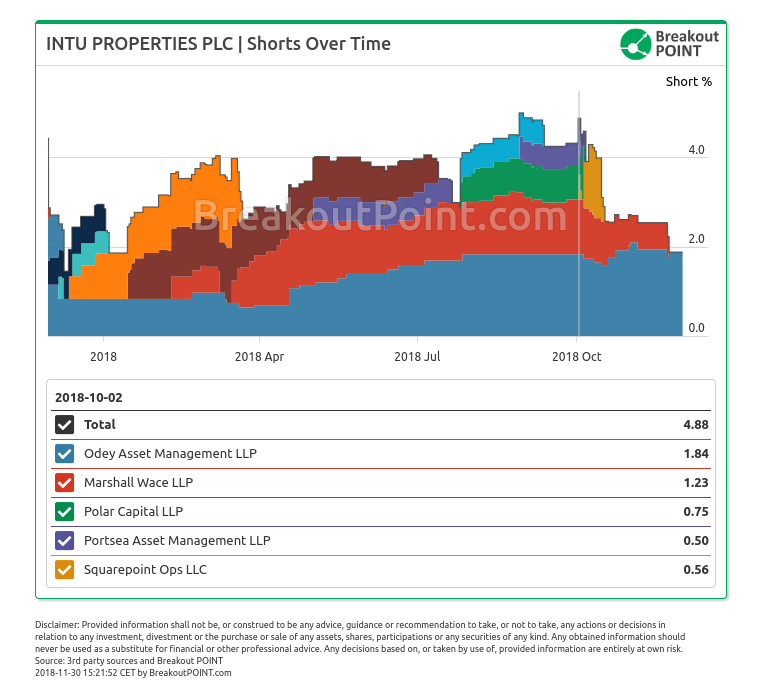 Odey's bet against Intu is one of the longest standing big shorts in our records and it goes back to 2012-11-01 when Intu was trading at about 315p. This short position is 1.88% big and it resulted in a profit of about £20m only on Thursday for Odey Asset Management. Several other hedge funds were holding big shorts in Intu recently. However, they have reduced them before the latest drop: Marshall Wace LLP reduced their big short on 2018-11-22, while Squarepoint Ops LLC, Portsea Asset Management LLP, and Polar Capital LLP did it in October. As we already mention in our recent post "Odey is Back. What is he Shorting? ", Odey Asset Management is, in our records, quite unique when it comes to a holding period of some of the short positions. 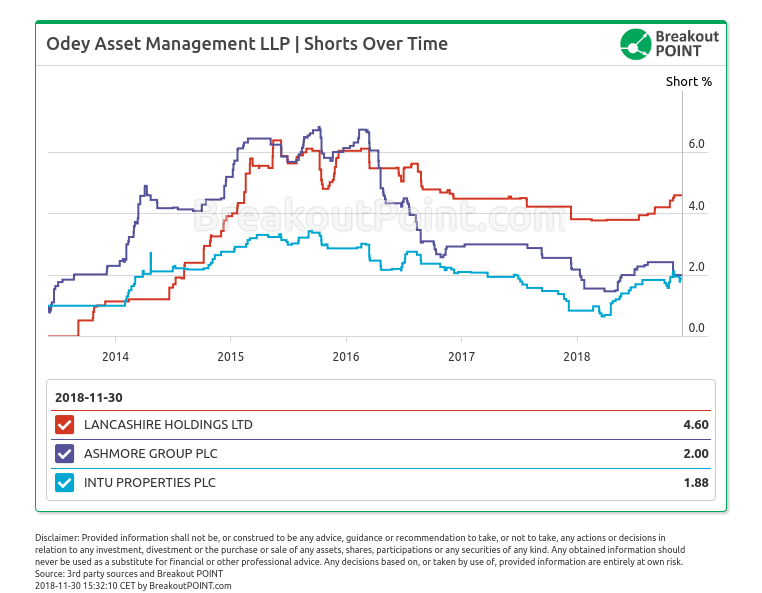 Not only Intu Properties, but also Ashmore Group, and Lancashire Holdings shorts have been held by Odey for more than 5 years.